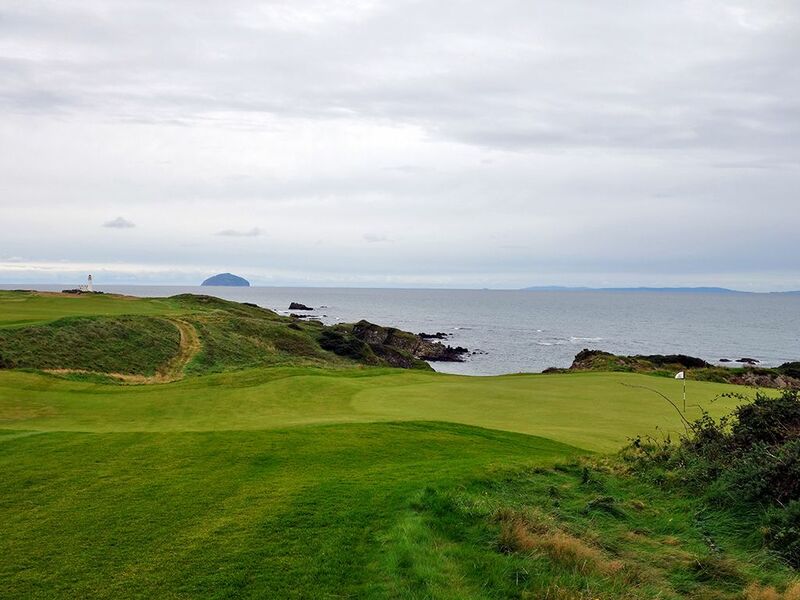 Course Website: Official Website - Visit Trump Turnberry (King Robert the Bruce)'s official website by clicking on the link provided. Accolades: Ranked 15th in Scotland by Golf Course Gurus. 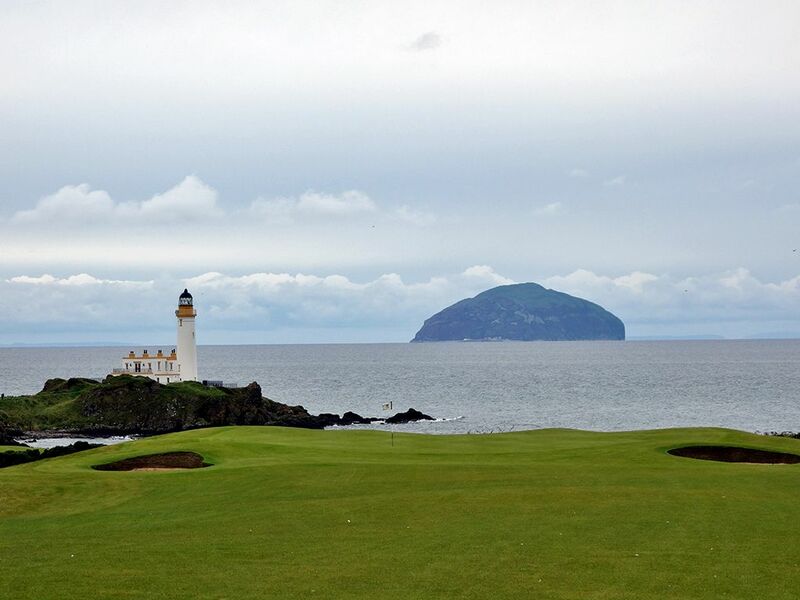 What to Expect: The newly named and redesigned King Robert the Bruce course at Turnberry is a solid complimentary offering to the neighboring all-world Ailsa course. 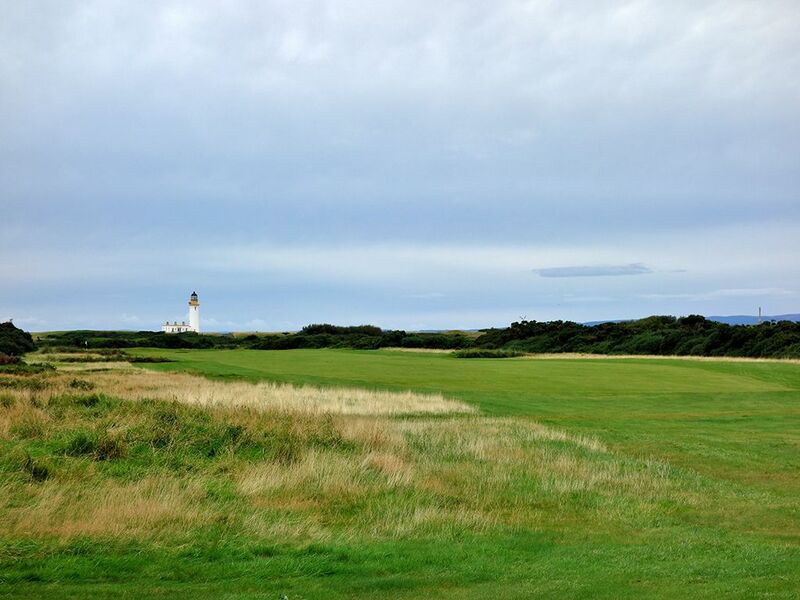 From either course the iconic lighthouse is in view for much of the round and stands as a unique visual to enjoy. 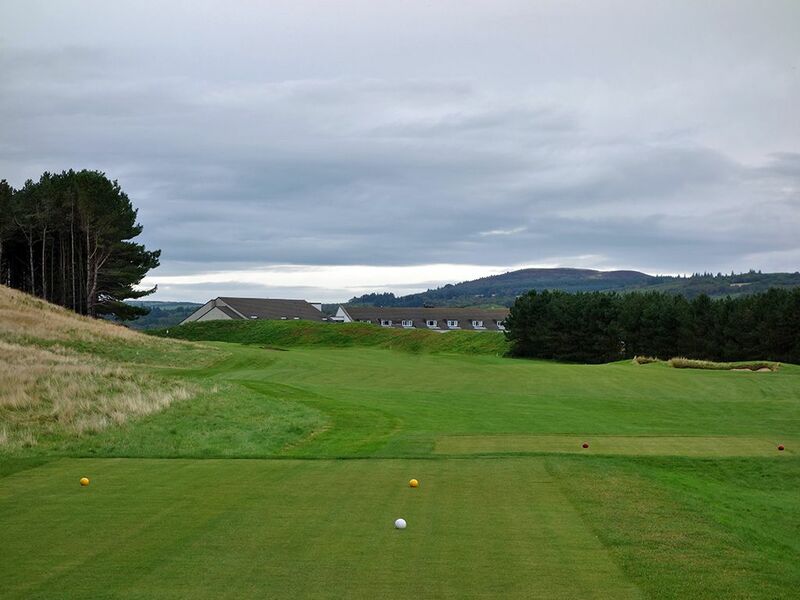 The course begins and ends on somewhat unexciting flat ground with an exhilarating middle stretch of holes that goes on the high ground including along a cliff edge. The driving corridors are generous overall however balls that go astray can quickly be lost forever in the heavy fescue framing the fairways. Greens in regulation will come relatively easily on the flat land holes with large putting surfaces to hit and wide openings to attack while the high ground features more difficult targets to score well on. From a conditioning perspective the grounds crew does a great job maintaining the turf and delivering consistent putting surfaces. 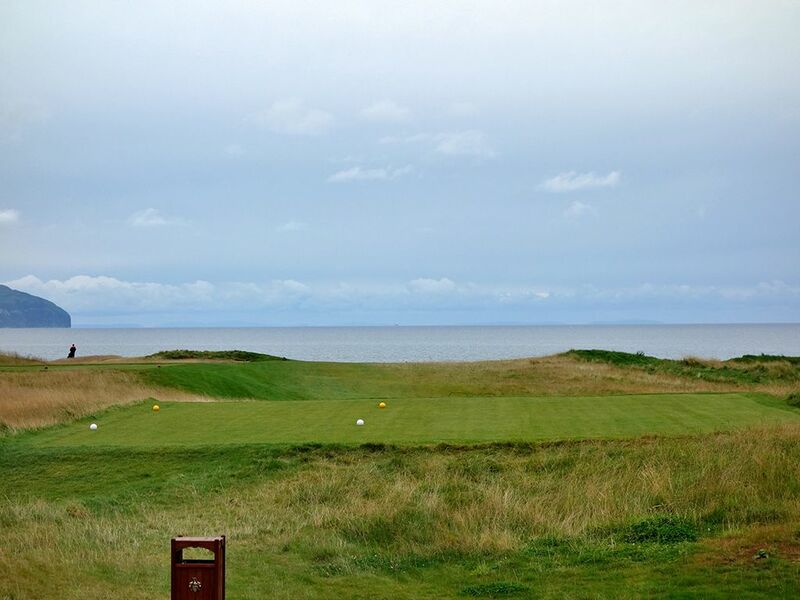 While King Robert the Bruce will always play second fiddle to Ailsa, it is a nice course to complete a 36 hole day on and a more economical option to consider. Signature Hole: 9th Hole – 451 Yard Par 4 – One of the finest golf holes in Scotland and the climax experience at Turnberry's second course. 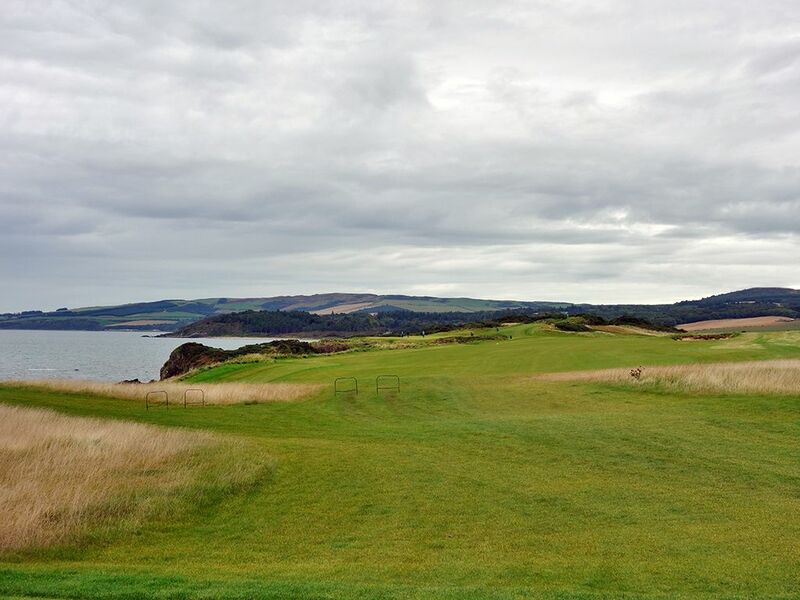 The 9th hole enjoys dramatic and stunning terrain along the rocky coastline with a greensite that has few rivals. The fairway tilts right to left towards the ocean and with a lone bunker sitting 265 yards from the tips on the right side of the short grass. A quality tee shot will give players the green light to attack the putting surface but if you are feeling at all unconfident, then there is plenty of fairway to layup on to the right. The green is perched above Kintyre's Cove and is fronted by a perilous valley while the rear is peppered with gorse. Being able to design a hole on terrain like this is an architect's dream and it was well executed here. Best Par 3: 10th Hole – 166 Yards – Perhaps the least inspiring part of the King Robert the Bruce course is the par threes that mostly traverse along flat land, but the 10th is clearly the gem among the group. 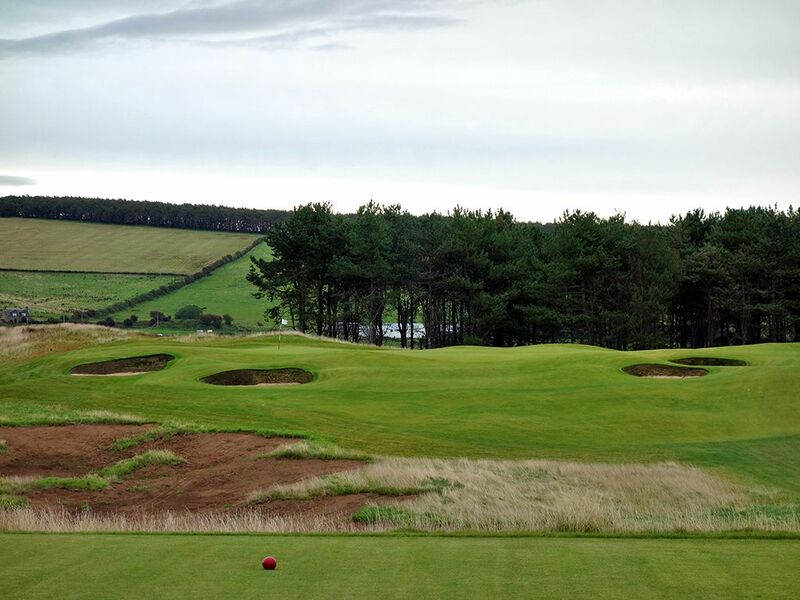 Located on Bain's Hill, the 10th enjoys more movement in the terrain than the other one-shotters and plays over a small valley to an undulated green fronted by four bunkers. The forest line and farm ground create a calming background for the hole and a delightful start to the back nine. 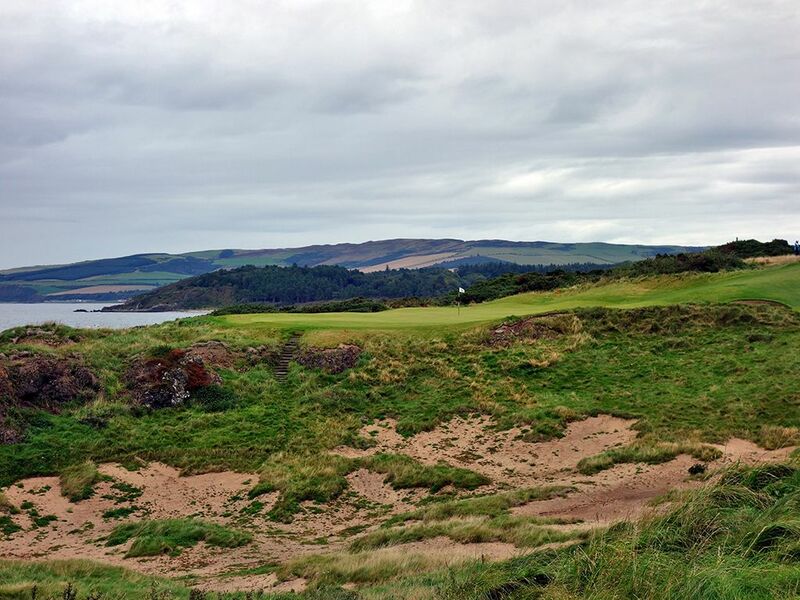 Best Par 4: 7th Hole – 406 Yards – "Round the Mountain" shares its name with the 7th hole on the Ailsa course and is a dogleg left that climbs uphill and out of view from the tee. A forest of trees shapes the inside of the dogleg while a pair of bunkers lie in wait on the outside of the bend. The approach shot is all about keeping it to the left since the terrain will often give a favorable kick onto the putting surface and it also keeps the three bunkers right of the green out of play. Best Par 5: 8th Hole – 534 Yards – The 8th and 9th holes at Turnberry's King Robert the Bruce course are fantastic and a powerful way to close out the front nine. From the tee players are afforded a vast view of the ocean in the background and a cresting fairway in the foreground. The landing area is blind from view as the fairway begins travelling downhill beyond the crest you see in front of you and players are encouraged to aim to the right of the fairway bunker on the left. Walking down the fairway players are presented with an expansive view beyond the crest that includes the famous lighthouse and an infinity edge green that seems to fall off into the ocean. 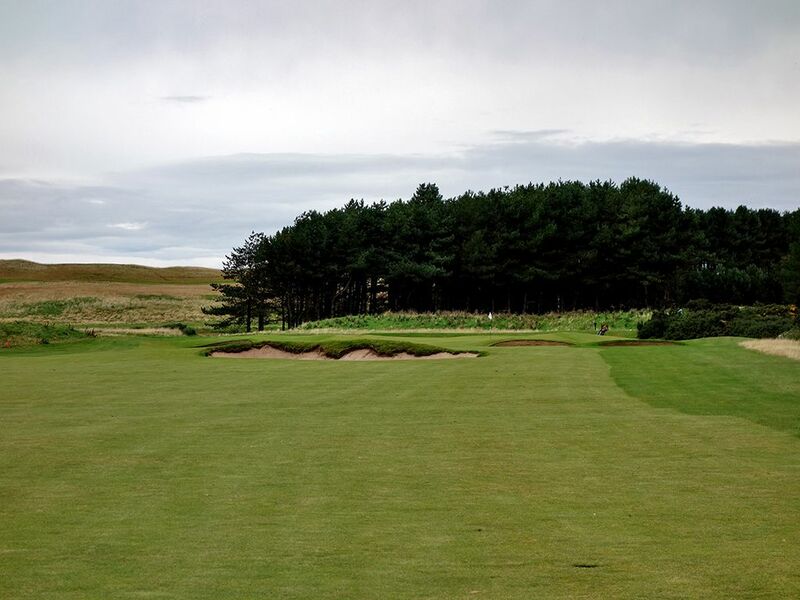 The approach shot can prove to be testy since this part of the golf course is the most vulnerable to the powers of the wind and is quick to toss your ball into one of the two bunkers fronting the green. This is an inspiring par five to play and a wonderful lead up to the signature 9th hole. Birdie Time: 3rd Hole – 332 Yard Par 4 – An inviting fairway and little yardage greets you on the par four 3rd hole and presents the perfect birdie opportunity early in the round. The nearest fairway bunker is 200 yards away, so the conservative player can layup short of that and still leave themselves only a wedge into the green. Bolder players may elect to hit a baby draw that follows the fairway and tumbles towards the left side of the green that is devoid of bunkers. If the pin is on the right side of the putting surface than a trio of bunkers will need to be cleared enroute to the hole, but with a high-confidence club in your hand, this is a great chance to take dead aim at the flag and stick it close. Bogey Beware: 5th Hole – 461 Yard Par 4 – Precision off the tee is mandatory if you plan on staying bogey-free on this hole. 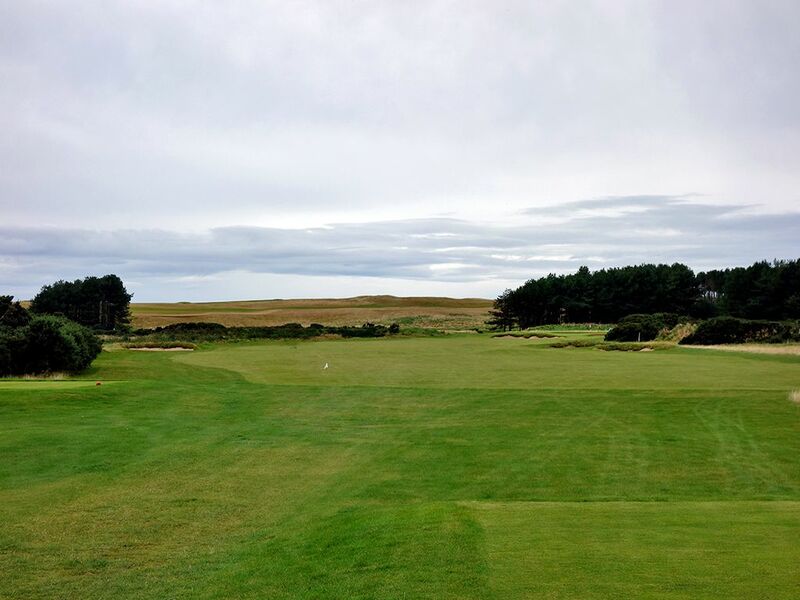 Both sides of the fairway are lined with gorse before the left side gives way to wetlands while the corner of the dogleg is protected further by a trio of bunkers. The approach shot plays over a center bunker sitting 80 yards off the green while another trio of bunkers hunt just short of the putting surface. With no forgiveness from tee to green, you have to be on top of your 'A' game to avoid bogey here.